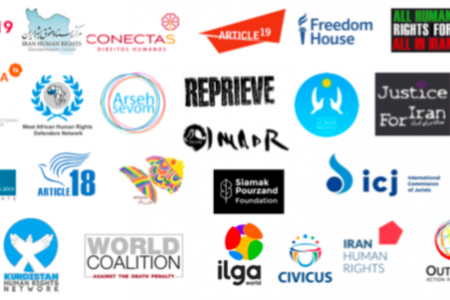 We, the undersigned Iranian and international human rights organisations, urge your government to support resolution A/HRC/40/L.15 renewing the mandate of the United Nations Special Rapporteur on human rights in the Islamic Republic of Iran, to be tabled during the 40th session of the Human Rights Council. The renewal of this mandate is warranted by the persistence of serious, chronic and systematic violations of civil, political, economic, social and cultural rights in the country, which have only become more dire over the past year. The capacity and expertise of the mandate are necessary to address the on-going repression in Iran, including through conducting urgent documentation and urgent actions and through sustained and continuous engagement with the Iranian authorities in order to advance the promotion and protection of human rights in the country. Discontent with corruption and mismanagement of resources and demands for civil and political as well as economic, social and cultural rights have led to protests across the country over the last year. These protests and strikes have often been met by arbitrary arrests and detentions, as well as violations of the rights to freedom of association, expression and peaceful assembly. In 2018, at least 5 individuals, including protestors, have died in state custody and authorities have failed to conduct any transparent investigation into the circumstances of their death. State repression has been especially severe against already marginalized communities and ethnic minorities, for whom these issues are particularly acute. The security forces have violently dispersed peaceful demonstrations, beating unarmed protesters and using live ammunition, tear gas and water cannons against them. The authorities have intensified their efforts to choke off the space for civil society work. Dissenting voices, including journalists, online media workers and human rights defenders, including human rights lawyers, labour rights activists and women’s rights defenders, have been subjected to arbitrary arrests and detention, simply for speaking out. In 2018, at least 63 environmental activists were arrested. They include eight conservationists who could face the death penalty or long prison terms following a grossly unfair trial for their wildlife conservation work. Space for online expression continues to be closed off as part of efforts to inhibit the free flow of information in the country, as exemplified by the blocking of the popular instant messaging application Telegram. Meanwhile, the Iranian authorities have consistently failed to adopt and enact legislation and policies that would address the core human rights violations that people in the country have been facing for decades, despite the many recommendations it has received from UN human rights bodies and through the UPR to that effect, and despite continued popular demands expressed through strikes and protests. Long-standing bills pertaining to the protection of children against abuse and violence against women remain stalled, and some of the reforms included in the original drafts have already been watered down by the Guardian Council and the judiciary. In December 2018, a parliamentary committee rejected an amendment to the article on the age of marriage in the Civil Code, which would have banned marriage for girls under 13. Moreover, no legislative efforts were made to abolish the death penalty for individuals under the age of 18 at the time of the offence, which Iran practises “far more often than any other states”, as the Special Rapporteur stressed in his report. Meanwhile, as abundantly documented by the Special Rapporteur on human rights in Iran, by the UN Secretary General, and by civil society organizations, legislation, policies and state practices continue to be at odds with international human rights standards on women’s rights, the rights of the child, ethnic minority rights, the rights of recognized and unrecognized religious minorities, the rights of lesbian, gay, bisexual, transgender and intersex persons, the rights to freedom of association, expression and peaceful assembly, freedom of thought, conscience and religion, protection from torture and other ill-treatment, the right to life, due process and fair trial guarantees, as well as the equal enjoyment of economic, social and cultural rights. Human rights organisations documented the executions of over 230 individuals in 2018, a decrease from last year, most likely as a result of amendments to the country’s drug law that went into force in November 2017. Authorities executed at least six who were under the age of 18 at the time of the offence. Iranians belonging to ethnic minorities, especially Kurds and Baluchis, have been disproportionately represented in execution statistics. Trials that violated due process and fair trial guarantees led to capital sentences, and death sentences were pronounced against individuals for a large range of offences that do not constitute the most serious crimes under international law. Rampant impunity remains prevalent in the judicial system. The most flagrant example is the systematic impunity that exists with respect to the on-going enforced disappearances and the secret extrajudicial executions of 1988; many of the perpetrators involved continue to hold positions of power, including in key judicial, prosecutorial and government bodies responsible for ensuring that victims receive justice. Indeed, the newly appointed head of the judiciary, Ebrahim Raisi, is one of the aforementioned perpetrators, who was the deputy prosecutor general of Tehran in 1988 and a member of the Tehran “death commission”. The work carried out by the Special Rapporteur has been critical to amplifying the voices of victims of human rights abuses within the UN system. This work also supports a stifled domestic civil society, identifies systemic challenges, stimulates discussions about human rights within Iran, calls for key human rights reforms, and takes action on a large number of individual cases through individual communications, thereby saving or otherwise impacting the lives of many in Iran. For all these reasons, we call on your government to support the renewal of the mandate of the UN Special Rapporteur on human rights in Iran, and show that the community of states requires tangible change in the human rights record of the country, in line with Iran’s treaty obligations and UPR commitments.